I’ve decided I need to do more to help my ESL students. So decided to start with something simpler like prepositions. 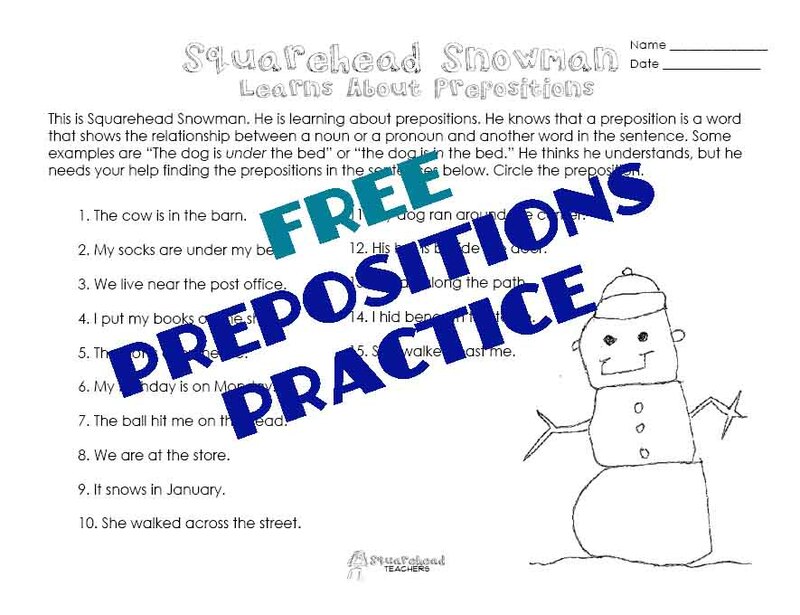 I made a total of 3 worksheets that help kids work on prepositions, and here’s the first. This entry was posted in Christmas/Winter, Grammar, Holidays/Seasons, Language Arts and tagged Children, Education, Elementary School, Grammar, Homeschool, Kids, language arts, Teacher Resources, Teachers, Teaching, winter by Squarehead Teachers. Bookmark the permalink.